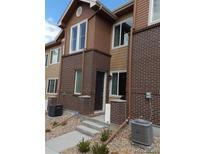 Find Arvada, CO Condos for sale. View Photos, Maps and MLS Data Now! Water Tower Village - Low HOA $215 with resort amenities-Pool,Hot Tub, Gym.Truly a 10+ for design+location! MLS#4640906. RE/MAX ALLIANCE. Club Crest - Community is friendly and engaging with periodic events. Lifestyle and opportunity awaits! MLS#4363394. AVENUES UNLIMITED. Arvada Plaza - Across the street from Trailside Park and Lake Arbor Golf Course. Walk to shopping and restaurants! MLS#9522776. COLDWELL BANKER RESIDENTIAL 54. Tons of storage space in crawl space. MLS#3778083. Homestead Real Estate LLC. Hometown - Come make this home yours as the swimming pool gets set to open Memorial Day. MLS#9472448. Denver Home Source. Westdale - Washer and Dryer are Included! Great location great townhome community. MLS#4122917. Worth Clark, Inc..
West Woods - If This Fits Your Buyers Needs Come And See Its Easy To Show. MLS#6767953. HomeSmart Cherry Creek. West Wood Villas - Great location, walking distance to grocery store, gyms, restaurants, shopping and walking trails. MLS#2022684. RE/MAX ALLIANCE. Then attached two car Garage has a painted floor and extra upper shelving. MLS#8550092. MB Denver Colorado Realty Source. Arbor Green - Home Comes With A One-year Colorado Home Warranty! MLS#7234378. MB DUFFY & ASSOCIATES LLC. Mountain Vista - .. Amazing location near 88th and Wadsworth, close to schools and shopping--21 restaurants within 15 min walk! Virtual Tour at http://prop.tours/sxr. MLS#5554544. RE/MAX ALLIANCE. Luxury comes standard in a Royal Oak home*Hurry! MLS#8907989. KELLER WILLIAMS AVENUES REALTY. Luxury comes standard in a Royal Oak home! MLS#6880994. KELLER WILLIAMS AVENUES REALTY. Lake Arbor Fairways - **OPEN HOUSE Saturday 4/20 12:30pm-3:30pm. ** Buyer to verify all information. MLS#4353816. Keller Williams Realty Downtown LLC. HOA dues include a 24 hour gym, pool, hot tub and clubhouse! MLS#4517258. Metro 21 Real Estate Group. Old Town Arvada - Washer/dryer included. Hurry, won't last! MLS#3929354. Invested Real Estate. This unit has easy access to both downtown Denver and Boulder, is close to RTD routes and is within walking distance to parks, restaurants and shopping. MLS#1977449. Your Castle Real Estate Inc.
Westdale - Quick access to Sheridan Blvd and Hwy 36. MLS#5798691. Atlas Real Estate Group. Arbor Green - Qualifies for FHA Home is being sold AS IS. MLS#2019746. MB MOSER REAL ESTATE GROUP. Sunrise Ridge - This is a must see home! MLS#2092857. MB The Brian Petrelli Team. Vista Village - Community pool for summer fun & much more! MLS#6747771. COLDWELL BANKER RESIDENTIAL 56. Beautiful trails for running and biking. Schedule a showing today! MLS#9846308. West and Main Homes Inc.
Arbor Green - NO showings until Monday April 15, Call listing agent with details MLS#7842887. Equity Colorado. Mountain Vista - This is a perfect place to call home! MLS#5087239. Keller Williams Integrity Real Estate LLC. Conveniently, Experience the Ultimate in Hip & Quality Living! ! MLS#3026397. HomeSmart Cherry Creek. These statistics are updated daily from the RE colorado. For further analysis or to obtain statistics not shown below please call Highgarden Real Estate at 720-580-6756 and speak with one of our real estate consultants.